Whether you were able to experience the //build conference this year or were unable to attend, we invite you to participate in an exciting day focused on just developers! This event will feature a keynote covering the latest announcements from the Microsoft //build conference and an update on developments that have taken place since the conference. 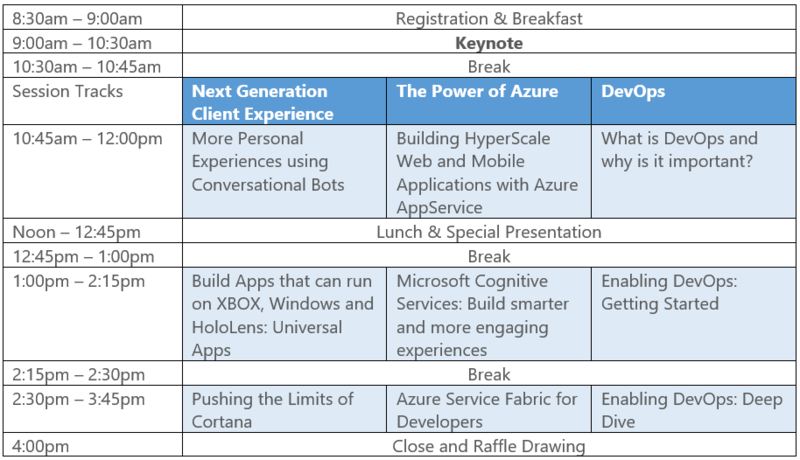 This free, one-day event consists of three tracks giving you the opportunity to take part in sessions covering topics that interest you the most: Next Generation Client Experiences, The Power of Azure or DevOps.